Don’t get us wrong. Christmas cookies are an essential part of the holidays. But by the time Christmas actually comes, we’ve already made dozens and dozens of cookies (and sampled every batch of dough) and we want to mix it up a little. If you want something a little different, or just want to save the last oomph of cookie-making will you have for baking Santa’s cookies, we have some ideas for you. From five minute quick treats to decadent desserts, we gathered some recipes for you! Christmas is about time with family, and that’s the most important thing. So if you don’t have extra time to bake the desserts, and you don’t want to sacrifice family time, opt for a few quick treats that you can make ahead without going near your oven. 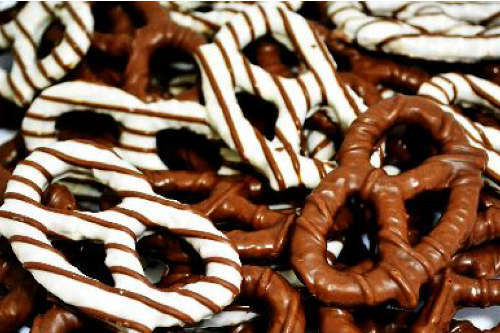 Chocolate covered pretzels are always a crowd pleaser, so just snag a bag of normal pretzel twists or rods, a couple different types of chocolate, and some toppings. Melt the chocolate in a microwave-safe bowl, heating at 30 second increments and stirring between. When the chocolate is melted, carefully dip your pretzels in the chocolate, gently shaking to allow the excess to fall off. Allow the chocolate to set for about 45 seconds, and then you can add toppings. (It’s important to let it set so that the sprinkles, mini chocolate chips, or whatever you top them with stick. 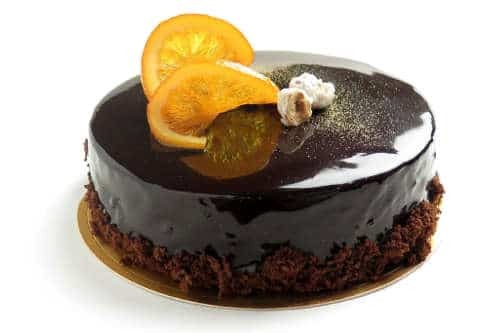 The chocolate is like glue – you have to let it get a bit tacky so that things will stick to it and not slide off.) You could also dip Oreos, potato chips, or fruit! Rice krispie treats are also a great no-bake idea. Throw in some Christmas M&Ms and you’re all set. If you’d rather skip all these steps and just have some treats delivered right to your loved ones, order some of these chocolate pretzels and cake pops. For an easy twist on an easy dessert, swap a few traditional ingredients out for a couple holiday variations. This is a great option if you have a spare hour before your guests arrive, and just have time to throw something in the oven. Brownies are a perfect example. 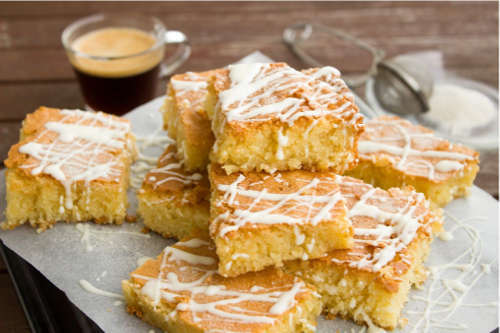 For a Christmas twist on traditional blondies, try this recipe for eggnog brownies from Mother Thyme. How good do those sound?! If you have time to wow your guests, wow them in a big way. What’s more decadent than rich chocolate? All you have to do is pick a couple Christmas flavors to accompany it, and we’re going with orange and peppermint. For an orange option, whip up this recipe for orange chocolate lava cakes from Food Network. Oh, my goodness! If you’re more of a peppermint guy or gal, check out this Food Network recipe for this dark chocolate peppermint pattie cake, made with rich and indulgent peppermint patties. I might need to go make that one right now! If you make these recipes and still have a bit of a sweet tooth, don’t stop there! Look at Wisconsin Sweet Treat of the Month Club and get your sugar fix all year! Happy baking! 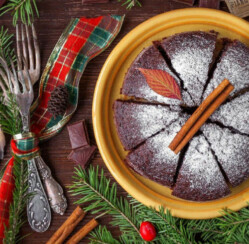 What’s your favorite Christmas dessert? Share this post and let us know in the comment section below!